It is unclear how long the name changes, which include play on words and references to star players, will remain. 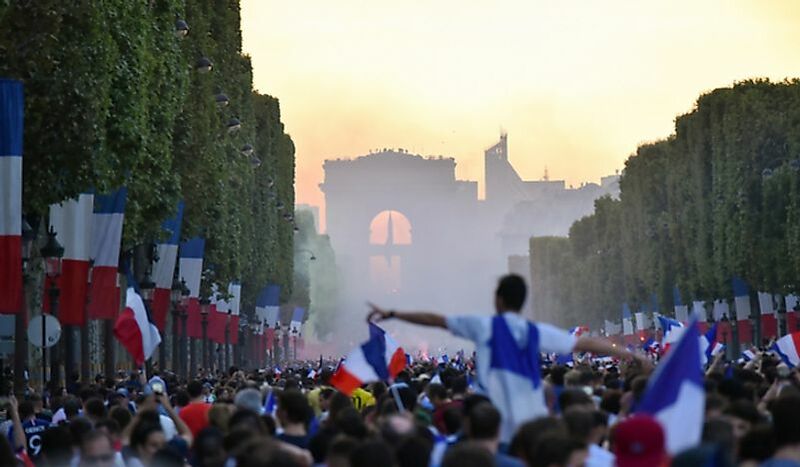 French fans gather in the streets of Paris to celebrate the country's victory. Editorial credit: Tommy Larey / Shutterstock.com. Six Paris metro stations have temporarily changed their names in honor of the nation’s incredible World Cup run. The changes came into effect following the performance of the French national team, or “Les Bleus,” who defeated Croatia in the final game of the 2018 World Cup in Russia. Though Croatia had given fans high hopes when they beat England to secure a spot in the final, in the end the French opposition proved to be too much. This World Cup win is the second one for France, who were champions once before, twenty years ago in 1998. The train stations renamed are Victor Hugo (now “Victor Hugo Lloris” after the French goalkeeper), Champs Elysées Clemenceau and Notre-Dame des Champs (now “Deschamps Elysées-Clemenceau” and “Notre Didier Deschamps”, both after the manager), Avron (now “Nous Avron Gagné,” which is on a play on words to mean “we won”), Bercy (now “Bercy les Bleus”, which is close to “merci les blues”), and Charles de Gaulle – Étoile (now “On a 2 Étoiles”, or, “we have two stars”). As of this moment, it is still unclear how long the name changes will remain, though feedback on social media and other channels has been positive.